Important advancements in diagnosing and treating breast cancer in Europe have been made in the last years. However, there are still many challenges to overcome, writes Lydia Makaroff. For instance, there are major disparities in screening between the different EU member states, which means many women aren’t being diagnosed early enough when the disease is still treatable and often curable. When it comes to women with metastatic or advanced breast cancer, there is still a lot to be done to provide appropriate care and support. As highlighted by the Call for Change launched by the multi-stakeholder initiative ‘Transforming Breast Cancer Together’ earlier this year, we need to ensure that all women diagnosed with breast cancer have access to treatment in a specialist breast-unit centre by a multidisciplinary team – including women with advanced and metastatic breast cancer – and that greater support is provided to women who relapse and develop advanced breast cancer or receive their first diagnosis in the advanced setting, among other recommendations. One of the major priorities for us at European Cancer Patient Coalition (ECPC) is to make sure that all people affected by cancer have the flexibility to continue or return to work if they wish. This can enable people to support their families and contribute to society, before, during and after treatment. For some, continuing to work can provide a familiar routine and bring a sense of normalcy during very uncertain and often distressing times. There are also several benefits tied to employment that many patients don’t want to lose by leaving their jobs. That’s why ECPC recently joined MEP Rory Palmer, dozens of Members of the European Parliament and other organisations to launch the ‘Dying to Work MEP Focus Group’. The initiative was inspired by the UK campaign with the same name, which put the spotlight on how terminally ill workers have suffered financially and emotionally due to lack of workplace protections. The focus group seeks to replicate this awareness at European level with the goal of achieving tangible policy results. This effort is urgently needed because currently there are no protections for terminally ill employees under EU law, and numerous cancer patients with a terminal illness face unfair treatment at work across the EU. In fact, due to a loophole in the 2010 Equalities Act in the UK, if a terminally ill employee fails a “capability test assessment” an employer can dismiss them with “reasonable adjustments”. The ‘Dying to Work MEP Focus Group’ wants to change that – it is advocating for providing additional employment protections for terminally ill employees so that they will not have to worry about losing their jobs on top of everything else they are going through. 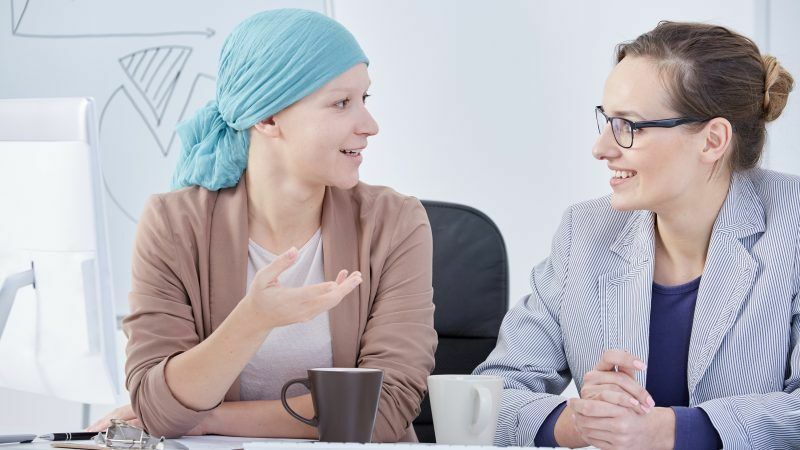 It’s not only about protecting their jobs but also about ensuring that places of employment offer flexible work arrangements so that people with cancer can continue undergoing active treatment while they work. In the short term, the members of the MEP Focus Group are setting up a voluntary charter and working to get employers to sign up and commit to protecting the employment and social rights to people with cancer. In the long term, both the European Parliament and the Member States have a major role to play. The MEPs in our coalition will be working together towards developing legislation similar to the EU Pregnant Workers Directive for people with terminal illness. Like pregnancy, terminal illness should also be a protected status. While we work to improve the law, the voluntary charter will play a big role in raising awareness and encouraging employers to act. These policy changes are especially crucial for the EU considering that Western Europe has the highest incidence of breast cancer in the world and that 90,000 Europeans die from breast cancer every year. Anyone affected by advanced and metastatic stage breast cancer should be able to make a choice if continuing to work is best for them. The mission of the ‘Dying to Work MEP Focus Group’ coalition is to ensure that they have that choice.